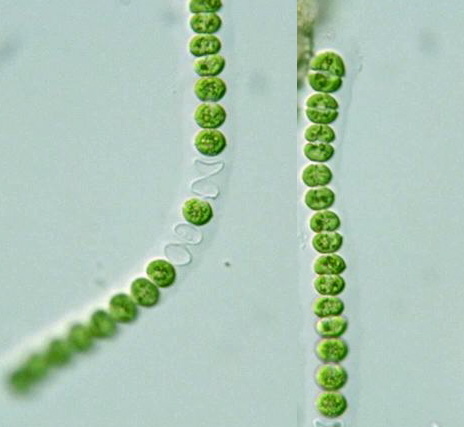 Order: Filamentous algae without branching; cell body mostly cylindrical. Genus: (Illustrations of the Japanese Freshwater Algae, 1977). Please click on images for viewing enlarged.